Moving, whether to a new house or apartment within the same city or to a completely new city or country, raises many emotions. Excitement, joy, sadness, and stress may be present all at the same time. Young children may not understand the reasons for the move. They interpret events largely through their perception of their parents’ state of mind. Your toddler intuitively knows if you are happy, excited, stressed or anxious. Even in the best case scenario, there may be difficult feelings around saying goodbye to a home, a babysitter, friends, and a school. Here are some ways that parents can be helpful to their child when faced with a move. Young children have not developed a sense of time and telling a child about a move too far in advance can cause a lot of worry. Even if your toddler has lots of language, she is only able to process what is concrete. Tell her in simple terms that you will be moving to a new house or to a home in a new city. Link your talking about the move to seeing packing boxes in the house or if possible to a time when she can actually visit the new home or see pictures of her new room. Make a goodbye book. This book will consist of photographs that you take of your child’s routines, environments, and people. Reminiscent of a childhood favorite, “Good Night Moon”, the captions of each photo should be simple and repetitive: “Goodbye Eli’s room,”, “Goodbye living room”, “Goodbye hippo playground”, “Goodbye walking to …(name of school or daycare), “Goodbye doormen”, “Goodbye …. and…. (names of caregivers at daycare or teachers at preschool)” , “Goodbye …(name of nanny or babysitter), etc. A goodbye book can help your child talk about her memories of her old home/neighborhood. Some children will want to look at the book repeatedly, others may discard it and not want to look at it. Both reactions and anything in between are absolutely typical. Make sure your child and the important people in his life from whom he will be separating have a calm moment to say goodbye in person. You can suggest to your toddler to give a gift of a drawing or a photo of himself. If your child refuses to participate in saying goodbye, it’s ok to not force anything and to make it short. All kinds of reactions are typical and acceptable. 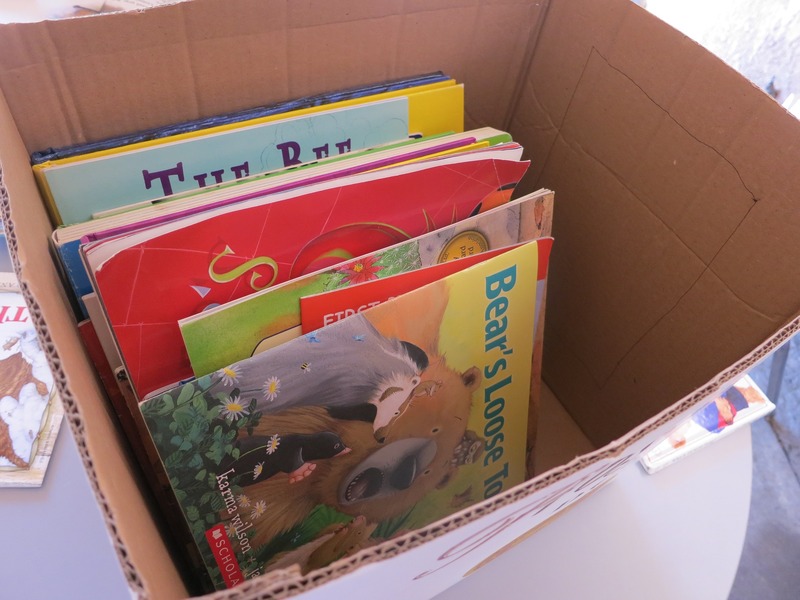 Reading books about moving can be helpful to your toddler. Examples are “The Berenstain Bears’ Moving Day”, “Moving House” by Anne Civardi and Michelle Bates, and “Big Ernie’s New Home” by Teresa Martin and Whitney Martin. Read these books when the move is imminent or underway so that they have concrete relevance to your child. When possible, allow your toddler to help with packing. This can be symbolic and not actual packing, but giving him a box and asking him to pack his special things allows him to take an active role in the moving and can help him feel more confident about it. When unpacking, it is helpful to set up your toddler’s room first. She will feel more settled and less worried when she can see all of her special and familiar things set up in her space. Be patient and sensitive to regression or changes in behavior. It will take time for your child to adjust to her new home and she may need more sensitive care to settle in. Allow for some increased needs around goodbyes, transitions and bedtimes, but try to maintain helpful structures and routines to support their adjustment. As we stated earlier, children pick up on their parents’ emotional states. If your move is causing you distress or excessive anxiety, it can be helpful to talk to a child development or parent child professional for support and guidance in figuring out how to talk to your child about the move. Specific, concrete, and age appropriate language is key in helping your child understand and accept the events as they unfold day by day. For additional support that is specific to your individual family and current situation, email us at uwspsemail@gmail.com or call one of the following phone numbers: 646-345-3071 or 917-902-2050.